arôme AmandeThere are 3 products. 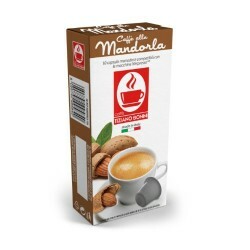 Almond flavoured Caffè Bonini, Nespresso® compatible pods. 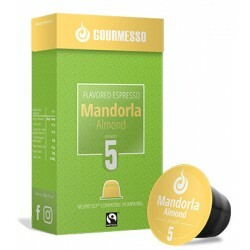 A sweet assemblage of Italian coffee and Almond for these Mandorla capsules made of delicate flavours. Nespresso-compatible capsules with Almond flavor. This capsule consists of a blend of original Brazilian and Indian coffee for a unique experience. 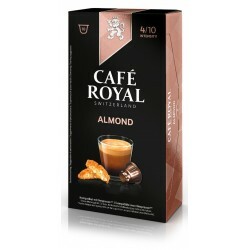 Almond and Nespresso ® Café Royal nut flavoring capsules. This flavored espresso has a powerful taste with a sumptuous thick cream, its intensity is 4/10.